The most intense and exciting freeride venues in the world highlight the Freeride World Tour’s line-up for 2016. With 5 stops in 5 countries, the FWT sets the global standard for freeriding events, as the best skiers and snowboarders in the world compete against themselves and the mountain. This season the schedule is a nod to the 20+ years of tradition that the FWT boasts. Tradition is being made with events at Vallnord Arcalis, Andorra and Haines, Alaska, while historical venues remain on top, combining old with new to create an action-filled season that is sure to excite and inspire. Both Vallnord Arcalis-Andorra and Haines, Alaska hosted spectacular competitions in 2015 and the FWT is excited to announce that both will return for 2016 marking the second year that these venues will play a key role in the tour. 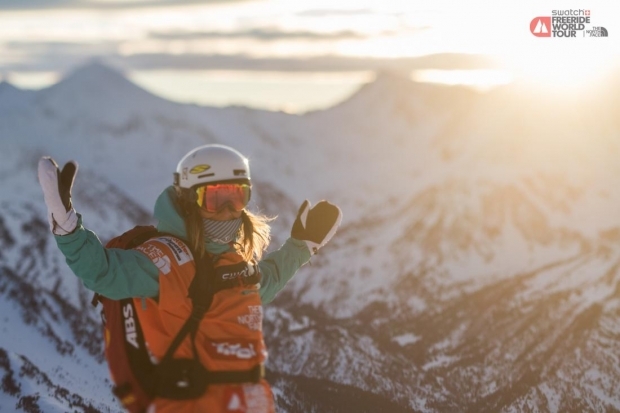 The FWT also returns to Chamonix-Mont-Blanc, France one of the most storied locations for freeride in the world, and a global epicenter of glisse. Chamonix’s rich skiing, mountaineering and snowboarding heritage needs no introduction and a podium here is a coveted addition to any athlete’s resume. Chamonix is complemented by a date at Fieberbrunn Kitzbüheler Alpen, Austria. Fieberbrunn features a difficult, complex venue that will challenge the athletes on one of the crown jewels of Austrian freeride terrain. Finally, the rich tradition of the FWT reaches a peak on the heights of Verbier’s Bec des Rosses, Switzerland, the spiritual home of the Freeride World Tour. This legendary venue, a place where dreams are crushed and heroes are forged, turned 20 last winter and is a fitting finale for 2016. With the 2016 schedule coming into focus, the athlete field is nearly complete. The full list of confirmed riders for FWT 2016 will be announced at a later stage.